Al Qaeda attacked and seized a hotel in Burkina Faso on Friday, killing at least 28. Those who know the history of the terror group know that it was funded (if not created from whole cloth) by the US government back when they were called the "Mujaheddin". The waning Pallas-Pluto conjunction (currently bridged by the Sun and Mercury) is a "gift that keeps on giving". One hopes that once the conjunction has fully broken up, the long Saturn-Pluto parallel this year (Saturn co-rules Pallas in Aquarius/Capricorn for much of the year) will be too weak to trigger major bloodshed. 1. Pallas conjunct Pluto via stellium, Pallas ruler Saturn parallel Pluto. 2. 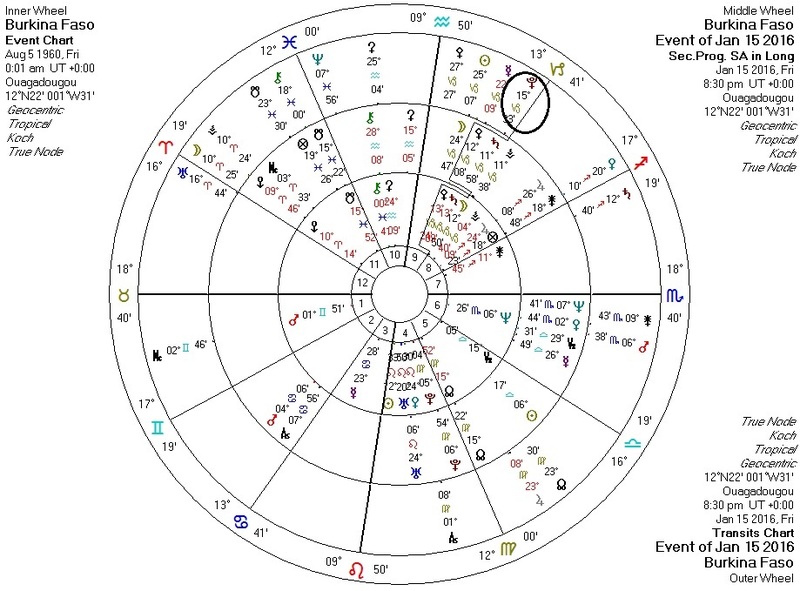 Venus widely/indirectly square Neptune and square the Nodes. 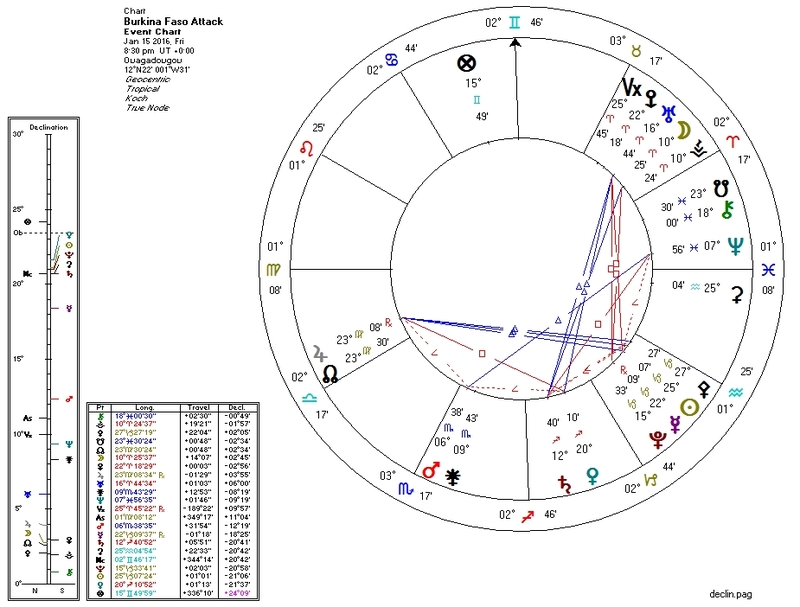 There is (of course) a Pluto-to-Pallas transit against the chart of Burkina Faso, with transiting Pluto conjunct both natal and progressed Pallas. This nation rarely makes the news in the US, even in the alt-press. Consistent with this Pluto transit to Pallas, the country has recently endured violent protests and a failed coup attempt.